Apparently, much of life on Earth gets regularly wiped out every 27 million years, according to Richard K Bambach of the Smithsonian Institution and astronomer Adrian Melott. It had been thought that this was caused by a dark star named "Nemesis", but apparently that was wrong. 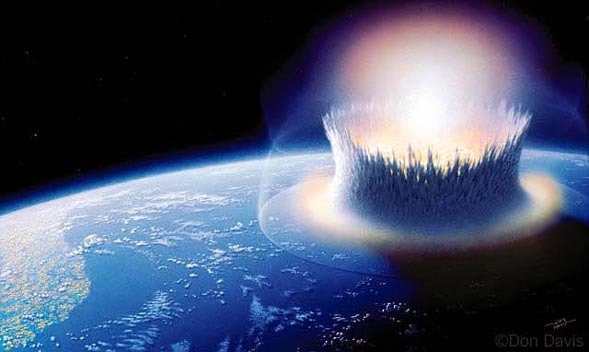 The next global-extinction event is due in about 16 million years' time.